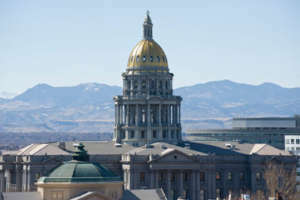 Denver, affectionately referred to as the Mile High City, sits against a stunning Rocky Mountain backdrop and is a business and cultural hub for America’s vast western landscape. From nearby mountain ski resorts to craft breweries to health-conscious restaurants, Denver knows how to mix business with pleasure and profit from it! Denverites embody the perfect mix of the rugged, outdoorsy Colorado adventurer and the tech- and business-savvy modern entrepreneurial spirit; they know that recruiting and retaining well-trained, experienced household staff is essential to the maintenance of an active lifestyle. For more than 50 years, Pavillion Agency has provided an unmatched level of domestic staffing services that Denver’s elite have come to rely on. What sets Pavillion apart? We are a one-stop shop for household staffing solutions. Our agency offers job placement services (permanent, temporary, or temp-to-perm), payroll processing, benefits consultation, and in-home staff training. Let us show you the Pavillion Agency difference!